1. Explore a scene or story from your memory by reimagining it from an alternate perspective. Write the event from the point of view of a passing bystander, another person close to the event, a pet, or even an inanimate object. 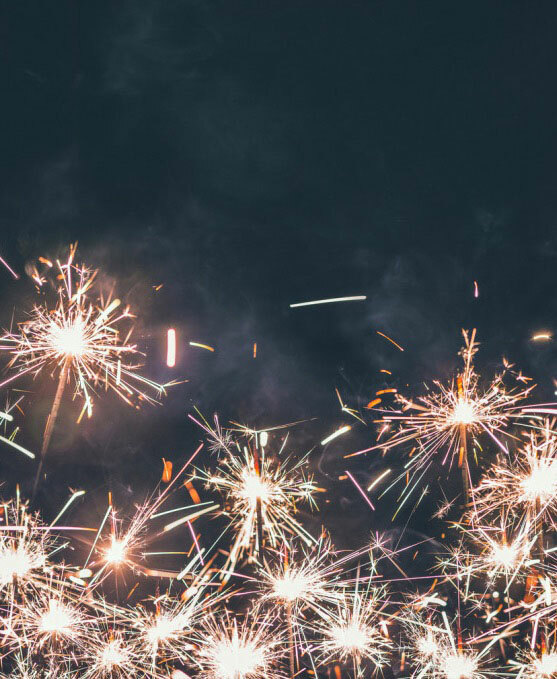 When choosing your narrator, pay attention to how objective they would have been, what they would have paid attention to, and what sort of background knowledge they would have had about the scene. 2. Tell the nonfiction story that you don’t want your mother to read. You know the one. Don’t censor yourself. 3. Recall a moment in which you felt a strong spiritual or unidentifiable energy. Describe the scene in vivid detail, with special attention to the senses. Connect that scene to your relationship with your own religious beliefs or lack thereof. Examine how you incorporated that experience into your worldview. 4. Create a timeline of events depicting your life by using newspaper headlines. Try to focus on events that didn’t involve you directly, but connect them to the pivotal events in your life. 5. Tell the story of one of your family holiday gatherings. Identify any of your family’s common trademarks, such as your one aunt that seems to tell the same joke at every Christmas, or your two uncles that always hide from the rest of the family by doing the dishes. Explore how you are linked within this family dynamic, and how these little quirks evolved and changed over the years. 6. Tell the story of a location. Possibly one that is very close to your heart that you already know well, or a new one that inspires your curiosity. Pay particular attention to your own connection to the location, however small or large that connection may be. 7. Chose a location that you’ve come to know as an adult. Compare how you interact with this setting now to how you interacted with similar settings when you were a child. How has your perspective changed? 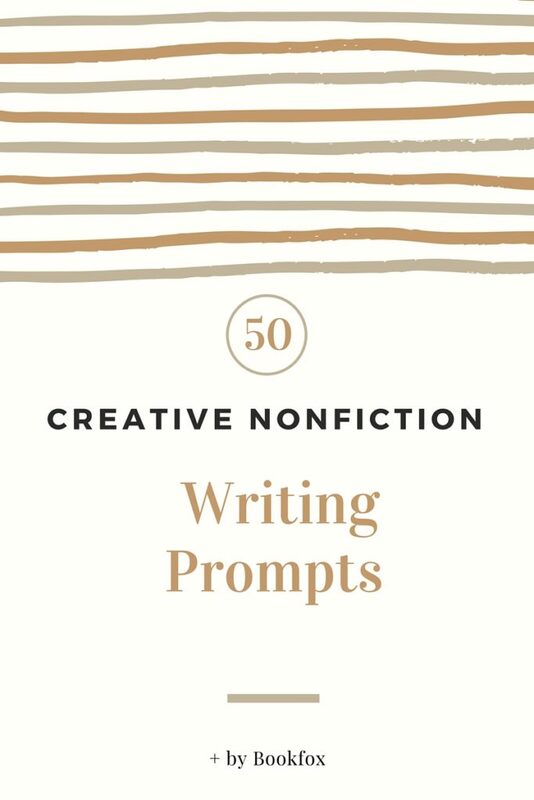 If you like these creative nonfiction prompts, check out the other creative writing prompts here at Bookfox. 8. Describe a time in which you expected or wanted to feel a religious or spiritual moment, but couldn’t. What were you hoping would happen? How do you choose to interpret that? 9. Recall a key lesson that parents or family members tried to impart onto you as a child. For example: “live with a healthy mind and healthy body,” or “put others before yourself.” Revisit that lesson as an adult and connect it to how you have come to interpret it as you grew up or in your adult life. Feel free to pick a less serious lesson and have a little bit of fun with it. 10. Revisit a special birthday from when you were younger. Describe specific details, with emphasis upon the senses. Now that you have years of context, how do you feel about what your parents and family did or did not do for you? What does that event mean to you now? 11. Choose an event in your life that someone else remembers differently. Describe both memories and debate the differences. Who do you think is right? Why do you think you remember it differently? 12. Choose a strong emotion and think of two memories associated with it. What are the links between those two memories? 13. Think of a lesson you learned recently and apply it to a memory. How would your behavior have changed if you had applied the lesson back then? 15. Have you seen those bizarre Illuminati videos in which some automated voice tries to prove that Arch Duke Ferdinand is actually alive and has a monopoly on the world’s dairy farms? 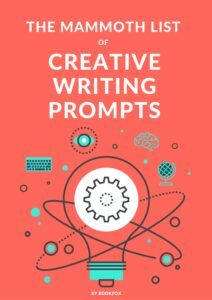 For this prompt, think of people in your life who have believed in crazy conspiracy theories, and write about the time they first shared them with you. Think of how your beliefs might seem naïve to them, and explore the tension between the competing versions of history. 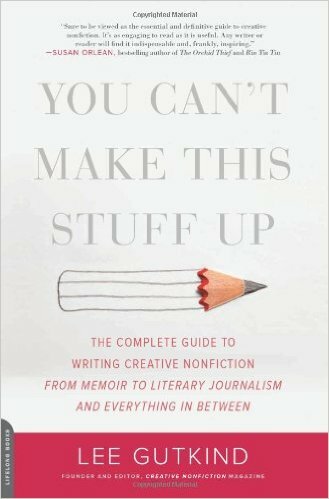 Lee Gutkind, who has been called the “Godfather of Creative Nonfiction,” teaches you his best tricks for writing compelling true stories. 16. What do you want more than anything in your life? Write about the burning hot core of your desire, and how that desire has changed over your life. 17. Recall what stressed you out most as a child. Was it the creaking stairs leading to the basement? Or being lost at the store? Explore your current relationship to that stressor. Did you ever move past that fear or anxiety? How do you interact with it now? 18. What relationship in your life has caused the most pain? Write the key scene in that relationship, when everything was at stake. 19. Write about a road trip you took, and about where all your fellow travelers ended up in life versus where you ended up. Are you glad you didn’t end up where they did, or are you jealous? 20. How has your identity changed over the course of your life? Write a scene from your teenage years that epitomizes the type of person you were, and then write a scene from recent life that shows how you’ve changed. 21. What event in your life has angered you the most? Write the scene where it happened, and tell us what you would do if it happened again. 22. What single experience most shaped who you are? Describe the experience in a single, vivid scene. 23. Who was your first friend to die? Write about how you learned of their death, and how you and their other friends mourned them. 24. Choose a happy or comfortable memory and write it in a way that makes the memory creepy or eerie to the reader. Don’t change the basic facts of the event, only select different facts and present them differently. 25. Show yourself in a scene pursuing the thing you want most in the world. Try to show the reader, without telling them, about your character flaws. 26. If you could throw five items into the fire, what would they be and why? To be clear, by throwing them in this fire, there would be no trace of them left anywhere, even if it’s something on the Internet or a memory. This is a very powerful fire. What would the consequences be? 27. What physical object or family heirloom ties together your grandparents, your parents, and yourself? Describe this object in great detail, and what it has meant to generations of your family. 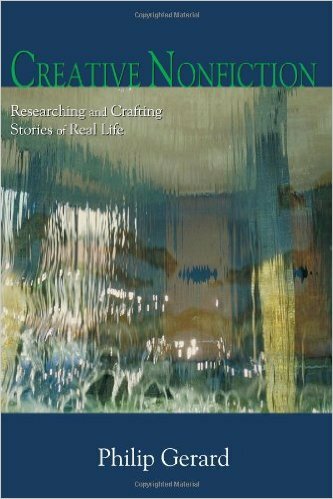 This is seriously the best anthology out there for creative nonfiction. Lee Gutkind and Annie Dillard have created a fantastic repository of classics. 28. Tell a story from your life in inverted chronological order. Start with the end, then backpedal to the middle, then tell the beginning, and then fill in the rest of the gaps. 29. Write about your favorite trip or journey, and how that high level of happiness was eventually threatened. 30. Look at some photographs of your childhood. Look at the pictures of your old room, the clothes you wore, and the places you had been. Try to remember a friend from that time period, and describe the first memory of a time when they pressured you or made you uncomfortable or angry. 31. Take a small, boring moment that happened today and write as much as you can about it. Go overboard describing it, and make this boring moment exciting by describing it in intense detail with ecstatic prose. Eventually connect this small, boring detail with the grand narrative of your life, your bigger purpose and intentions. 32. Describe the best meal you ever ate. Then describe a conflict you had with the people you shared it with, one that happened before, during, or after. 33. Recall an individual that you particularly hated. Describe their cruelty to you, and try to write yourself into an understanding of why they might have done it. 34. What was the best/worst letter you ever received or wrote? Write about the situation surrounding that letter, and why it was so important. 35. Recall a name you’ve given to a toy, a car, a pet, or a child, and tell us the story of how you and your family selected that name. Who fought over the name? What was the significance of that name? What happened to the animal or thing you named? 36. Write about experiencing the craziest natural event you’ve ever seen — tornado, earthquake, tsunami, hurricane. Dramatize the physical danger of the natural event as well as the tension between you and the people you were with. 37. Tell the story of the most important person that has shaped your town and its culture (you might have to do some research). How did the activity of that person influence the way you grew up or live currently? 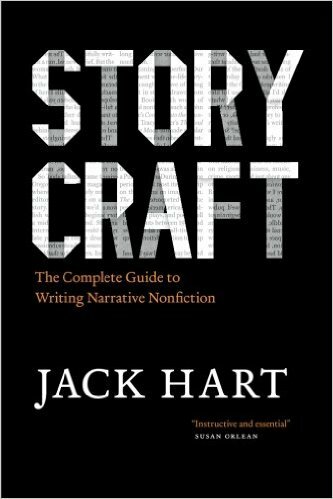 How do you find good creative nonfiction stories? 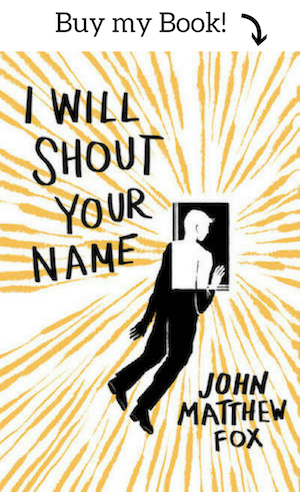 This book masterfully teaches you how to discover the stories others will want to hear. 38. Scientists have wondered for years how nature and nurture plays into the development of human minds and their choices. Explore where you and your siblings are today and the choices that brought you there. Would you like to trade places with your sibling? Would you be happy living in their shoes? How have your personal choices differed over the years? 39. Write a scene of a time when someone older than you gave you advice, and write about how you followed it or ignored it and the consequences. 40. Write a single, three-paragraph scene when your sexual desire was thwarted by yourself or someone else. 41. Describe a scene when you were stereotyping someone. Did someone challenge you, or if you only felt guilty by yourself, how did you change your behavior afterwards? 42. Describe the biggest epiphany of your life, then backtrack and tell the lead-up to that scene or the aftermath. In the lead-up or aftermath, show how the epiphany was either overrated or every bit as valuable as you’d previously thought. 43. Write about a fork in the road in your life, and how you made the decision to go the direction you did. 44. Explore an addiction you had or currently have. Whether the addiction is as serious as alcohol or cigarettes, or something much more mundane like texting, video games, or internet usage, describe in vivid detail the first time you tried it. If you quit, tell the story of how you quit. 45. Recall a scene in which you chose to remain silent. Whether it was your boss’s racist rant, or just an argument not worth having, explore the scene and why you chose not to speak. 46. Revisit a moment in your life that you feel you will never be able to forget. What about that moment made it so unforgettable? 47. What makes you feel guilty? Revisit a moment that you are ashamed of or feel guilty for and explore why that is. Describe the scene and the event and communicate why you feel this way. 48. Write about a moment in which you acted selflessly or against your own benefit. What motivated you to do so? What were the circumstances? How did you feel after words? 49. Write about the most pivotal scene in a relationship with someone in your extended family — Uncle, aunt, cousin, grandmother. Describe the tension or happiness you shared, and how that came to affect your relationship from that point onward. 50. If all else fails, try a writing-sprint. Set an alarm for 5, 10, or 15 minutes and write as much as possible within that time span. Even if you begin with no inspiration, you might be surprised with what you come up with by the end. The definitive guide to creating riveting true life stories. If you stop writing for more than 5 seconds, everything you’ve written disappears. It’s like writing with someone with a whip behind your chair. But with this new update you can choose to get positive reinforcements, too, like a kitten or candy, or to have your words disemvoweled rather than disappear. A points-based system to encourage writers to write 750 words every single day. You get bonus points for not skipping days, and bonus points for writing more than 750 words. Every 100 words you write, you get shown a picture of a kitten. Ah, simple motivation. No word whether a dog version of the site is in the works for those who are more dog people. 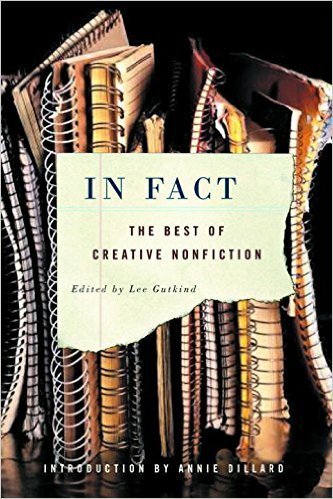 For more on creative nonfiction writing, I suggest Creative Nonfiction. 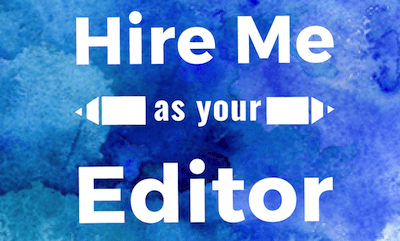 This website works with its print magazine counterpart to specifically cater to creative nonfiction writers and operates as an excellent starting point for more inspiration. Happy writing! Thank you for adding Written Kitten to the list, Bridget! We have bunnies and dogs now!